An attorney representing Barack Obama has argued in court to prevent the long-form birth certificate image that was released by the White House nearly a year ago from being placed into evidence. It was on April 10 at a three-hour eligibility hearing before a New Jersey administrative law judge that the argument came from Alexandra Hill. She is legal counsel representing Obama’s re-election campaign, and argued then that New Jersey law does not require Obama to present a valid birth certificate to establish his qualifications under Article 2, Section 1 of the U.S. Constitution to be on the New Jersey Democratic Party primary ballot. Agreeing with Hill, Masin ruled in a written opinion the same day that New Jersey law does not require Obama to produce any proof he is eligible to be president in order to be placed on the primary ballot. At the hearing, Masin prevented petitioner’s counsel, Mario Apuzzo, who has argued eligibility issues in the courts before, from placing Obama’s birth certificate into evidence. Nor was Apuzzo allowed to call to the stand a witness willing to offer expert testimony that Obama’s birth certificate is a forgery. 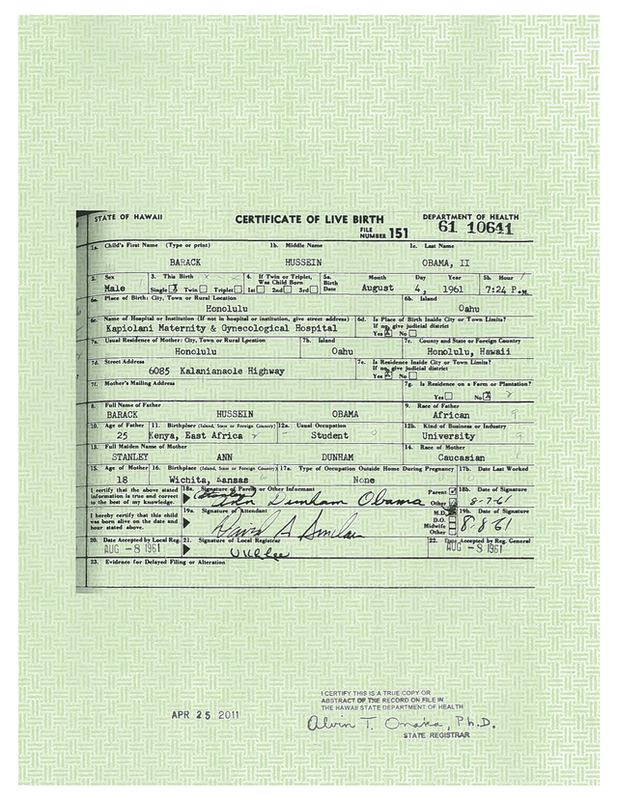 Is Obama ready to throw the birth certificate under the bus? “What is emerging in the various state legal challenges to including President Obama on the presidential ballot appears to be an attempt by the White House to divorce itself from the Obama long-form birth certificate released,” said Mike Zullo, the lead investigator in Arizona Maricopa County Sheriff Joe Arpaio’s law enforcement investigation into Obama’s birth certificate and eligibility to be president. Challenges to Obama’s name on the 2012 election ballot have appeared in more than half a dozen states already. At a press conference in Phoenix, Arizona, on March 1, Arpaio announced his law enforcement investigators had established probable cause to believe Obama’s birth certificate and his Selective Service Registration card are forgeries. Zullo questioned why the White House did not instruct Hill to champion the birth certificate as legitimate. “The White House appears to be acting as if the Obama birth certificate is of no consequence in establishing the fact of Obama’s birth,” Zullo continued. Reviewing the three-hour court hearing, it is clear Hill remained adamant on the birth certificate being irrelevant in New Jersey. Hill affirmed to Masin in response to a direct question from the bench that Obama’s birth certificate had never been presented to the New Jersey secretary of state to establish his eligibility and she affirmed that the Obama re-election campaign had no intention of doing so. At one point in the hearing, Masin, apparently agreeing with Hill’s argument, dramatically explained to Apuzzo that Obama’s birth certificate was not at issue in this case. “I have nothing before me that I can look at and can say, ‘Okay, this is what has been produced as his [Obama’s] birth certificate,’” the judge said from the bench. Apuzzo pressed to be put on the record a stipulation by White House counsel that the Obama campaign was not utilizing the long-form birth certificate as proof that Obama was born in Hawaii or as proof he was qualified to be president as a “natural born citizen” under the Constitution. In response, Hill repeated she had no intention of presenting Obama’s birth certificate to the court. “There appears to be no affirmative requirement that a person endorsed in a nominating petition for the presidency present to the Secretary of State any certification or other proof that he is qualified for the office, at least not at the time when nominating petitions are to be accepted or rejected by the secretary,” Masin wrote in his decision.